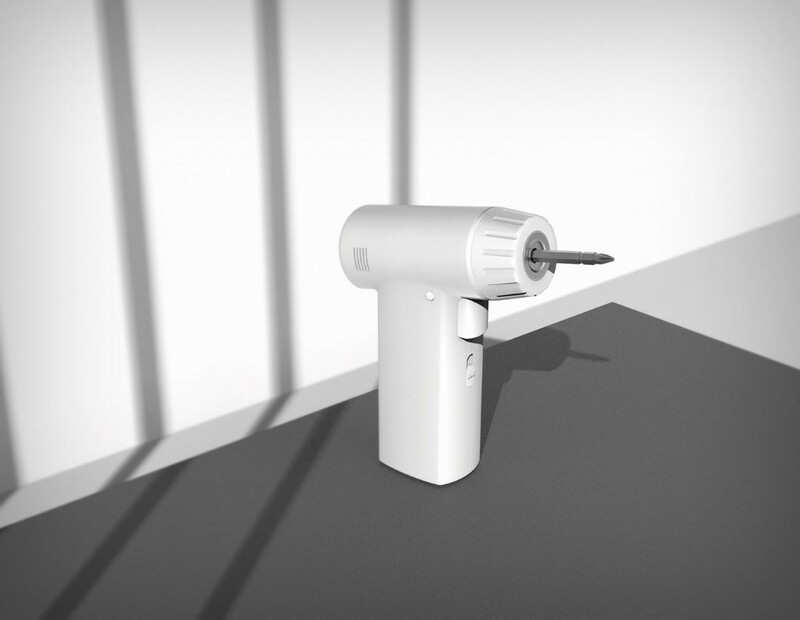 Close your eyes and think of an electric drill. Chances are, it’s rugged. Chances also are that it’s very colorful. Black and red, or olive green, or taxi-colored. Right? That’s because that is the product category code for a power tool. 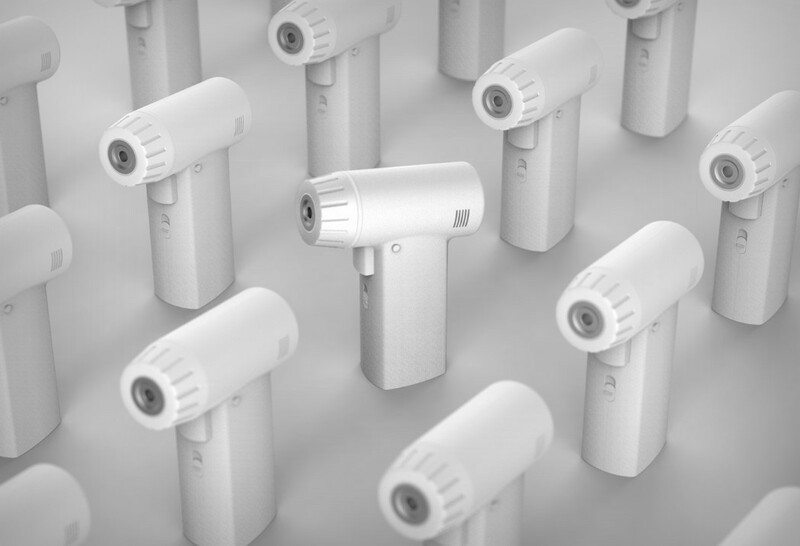 The category code defines what a product with a certain function must broadly look like, and power tools are supposed to be rugged/powerful looking and almost always carry the brand colors, which are usually vibrant. 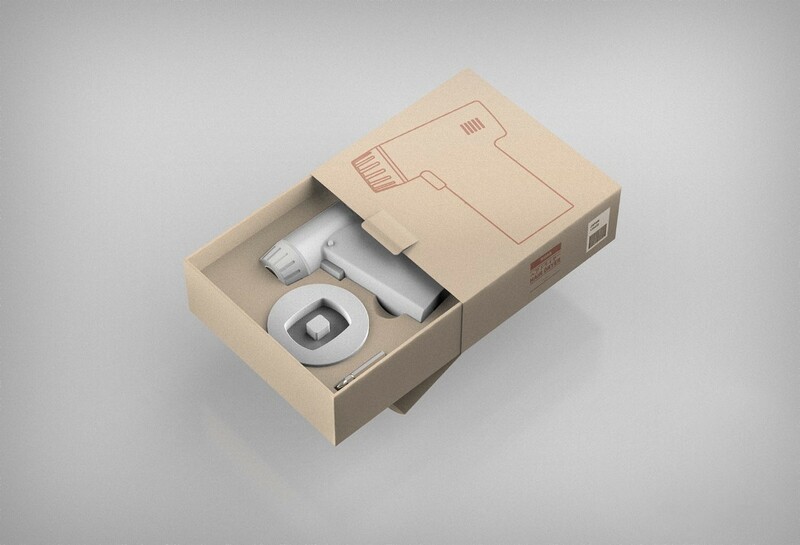 Rugged and vibrant are however not the keywords of Muji’s brand philosophy. 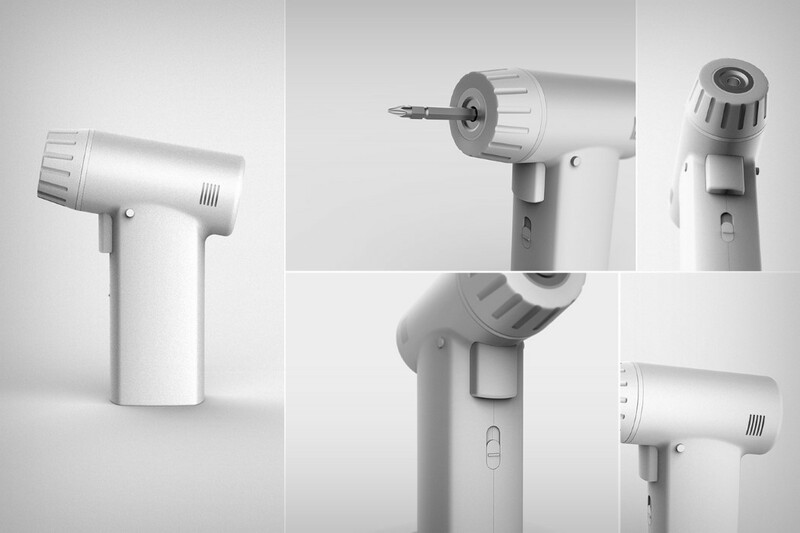 So what would a Muji power tool look like? It would look like it meant business but still retain an aura of serenity. 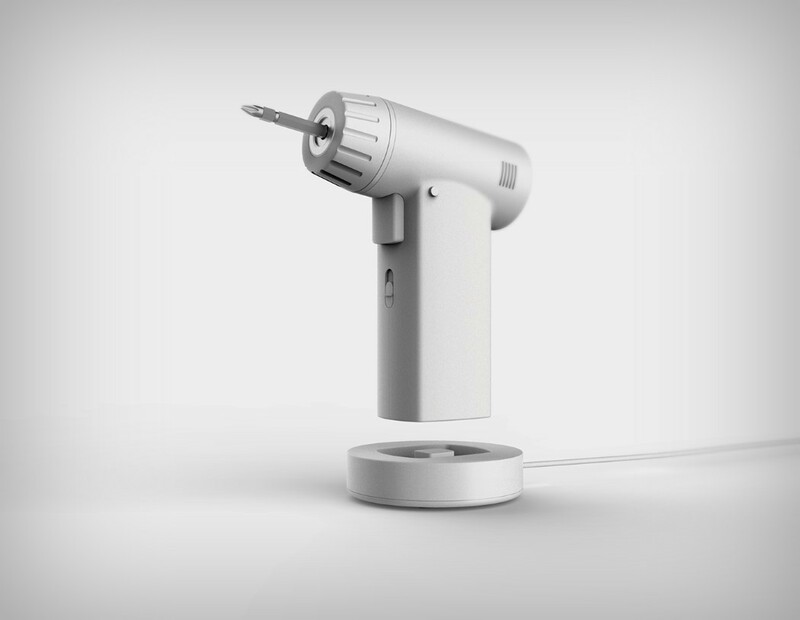 The Muji power drill concept by Changho Lee takes two contrasting things and wonderfully combines them. 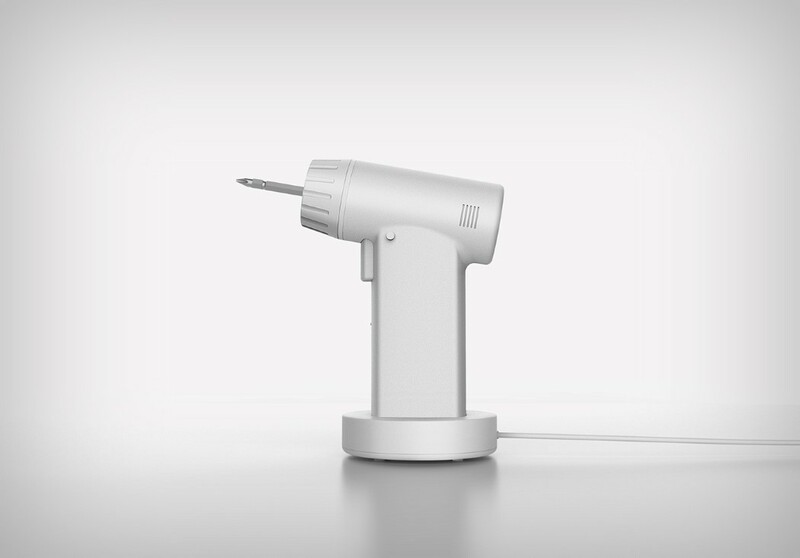 The drill’s aesthetic couldn’t embody Muji’s style any more than it already is. The white color scheme and the simple cuboid meets cylinder design brilliantly represents what the Japanese design house stands for. Absolute, unquestioned simplicity! 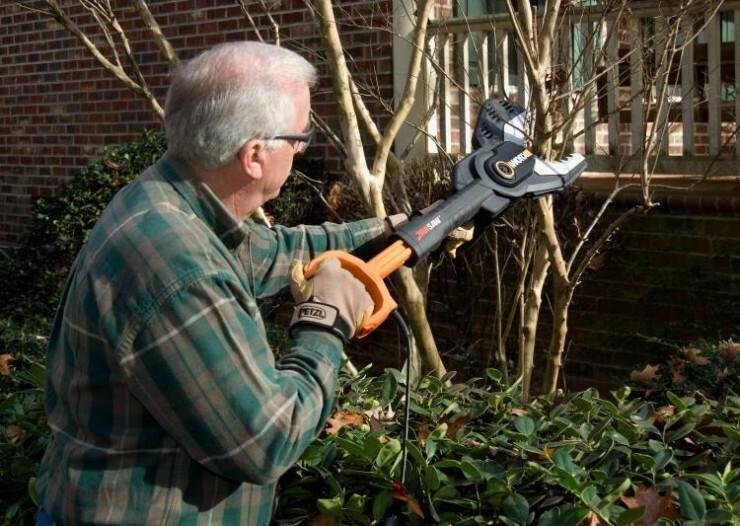 There are a number of reasons why you’d need to get a chainsaw and cut stuff up in your yard. You felled a large tree and want to gather its branches for heat? Or you just want to do a little landscaping? A storm knocked your trees down? 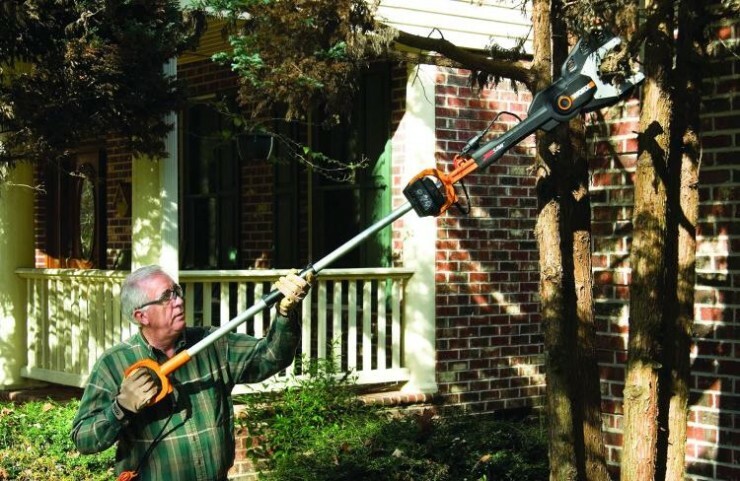 Whatever the reason, playing with a chainsaw can be dangerous. It can kickback, twist in your hands and severely injure you. 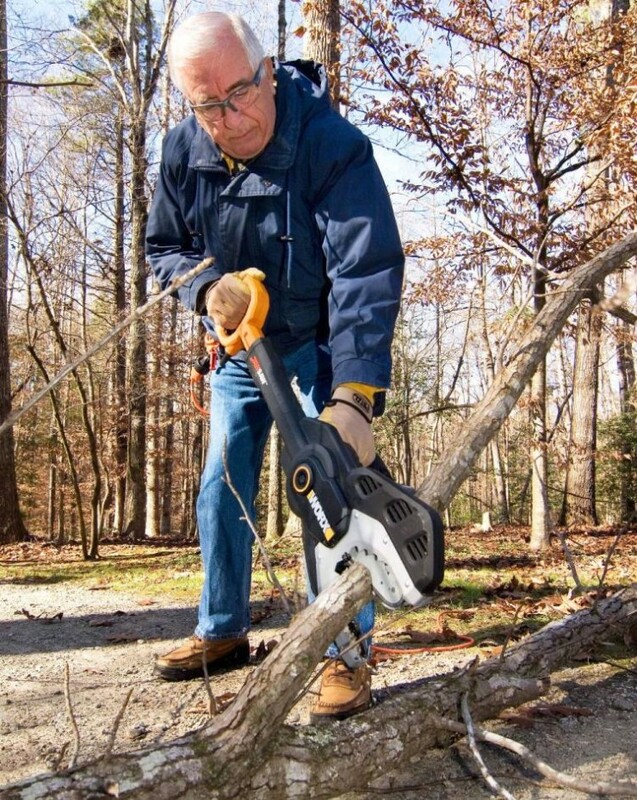 The JawSaw however features an entirely different design that minimizes this danger. 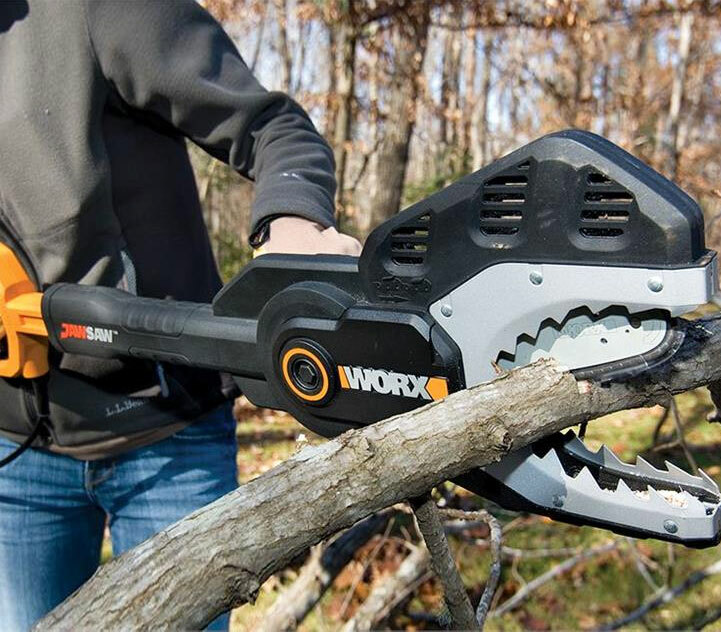 Looking like a shark’s mouth, the device will automatically scissor the blade across anything you place in the opening, up to 4 inches across. 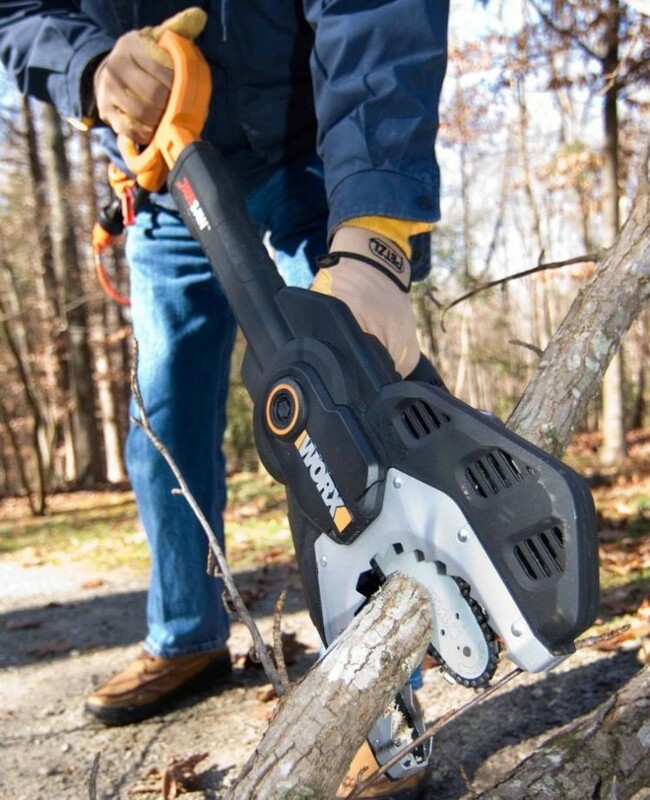 The blade is entirely enclosed, making it almost impossible to get cut. 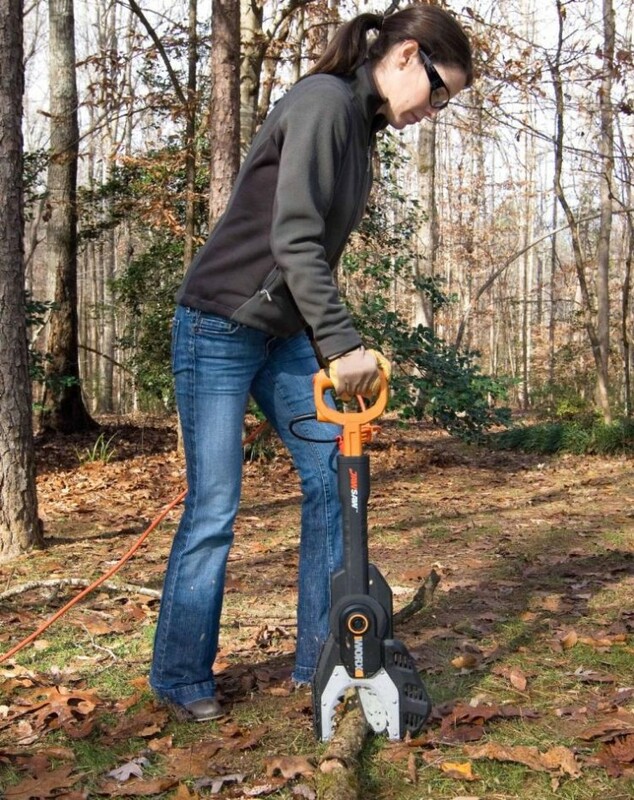 This also makes it possible to cut things that are already on the ground without even having to bend down. 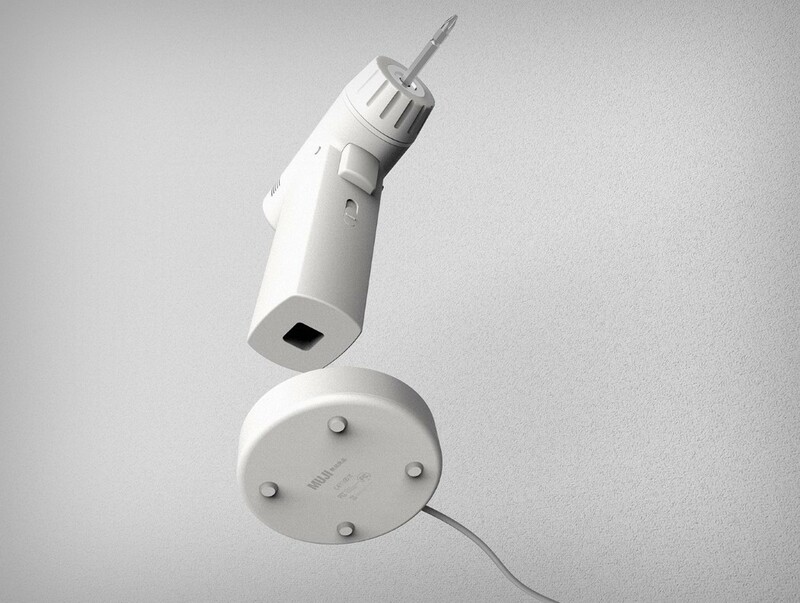 The handle is extensible so you can reach high up without using a potentially unstable ladder. 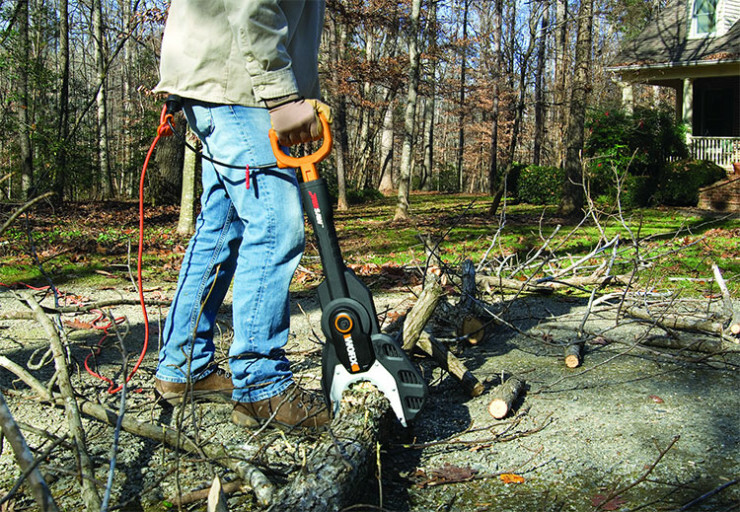 An automatic chain tensioner as well as an oiler keep the JawSaw’s maintenance levels to a minimum. And the $106 price tag make it interesting even for those with tighter budgets. 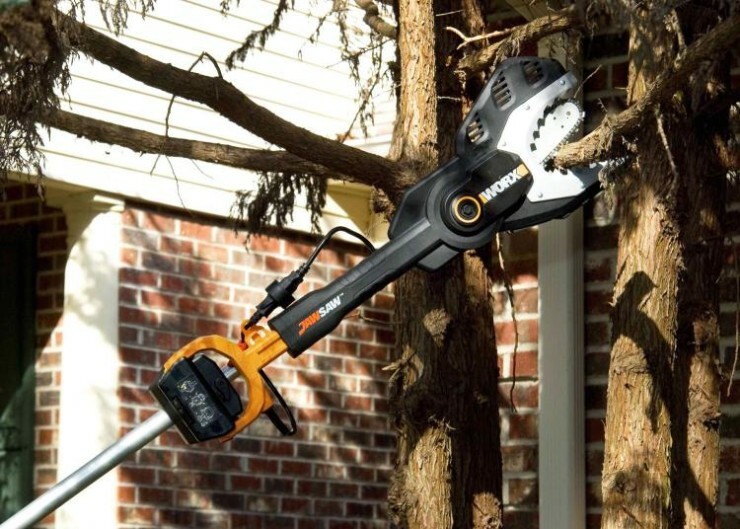 The post The JawSaw Cuts Through Branches In The Safest Way Possible appeared first on OhGizmo!. You’re not impressing anyone with your cork removing skills, manually inserting your corkscrew in there like a Neanderthal. Better get with the times and put some power behind it. 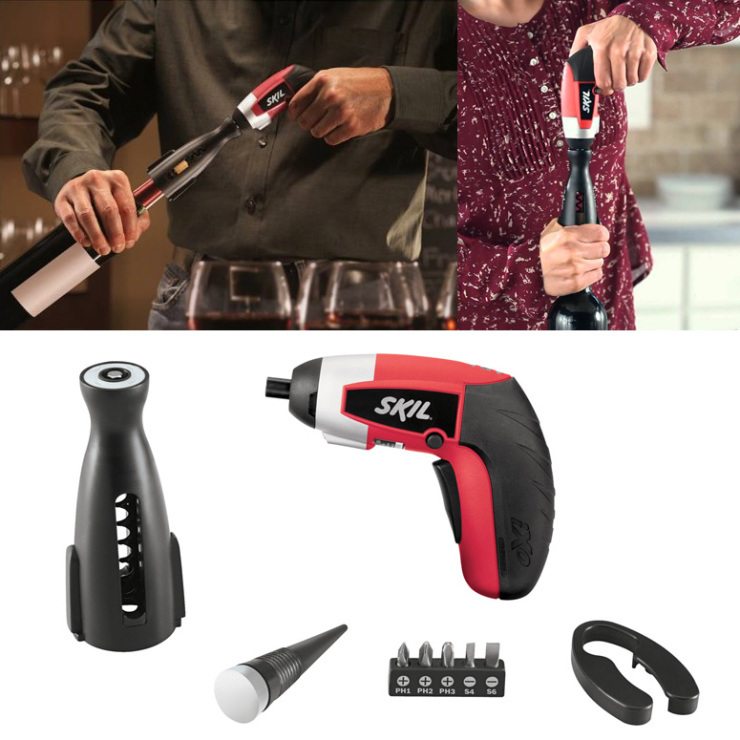 The SKIL iXO Vivo is a small 4V powered screwdriver with a corkscrew attachment that will have your wine breathing in seconds. 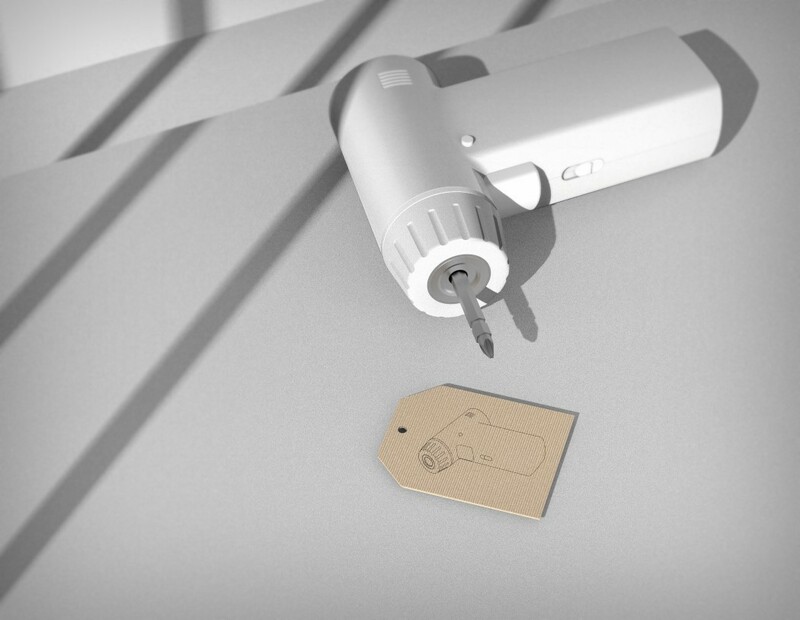 It even comes with a wine stopper, and a foil cutter. And when you’re not popping corks, the things will of course do its job as a screwdriver. It’s pretty neat and at $49, totally worth the expense. 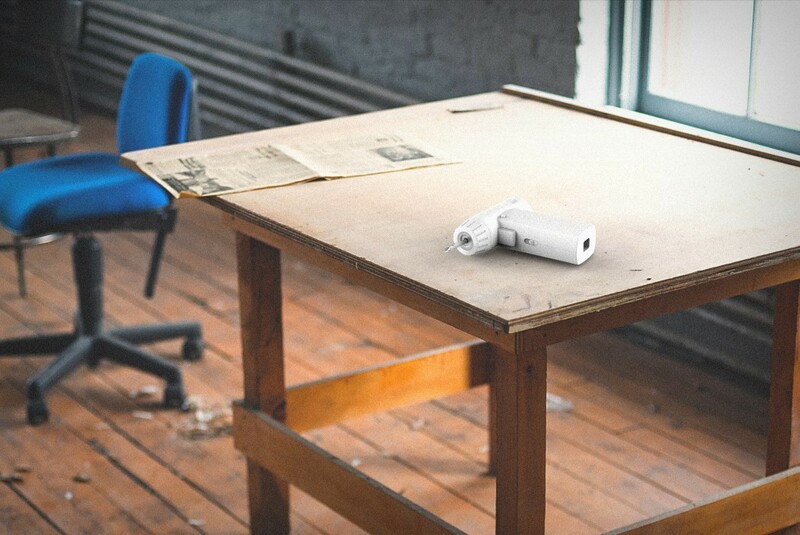 The post That Cork Ain’t Got Nothin On The SKIL iXO Vivo Power Corkscrew appeared first on OhGizmo!. Cut that door right open, lumber jack style. 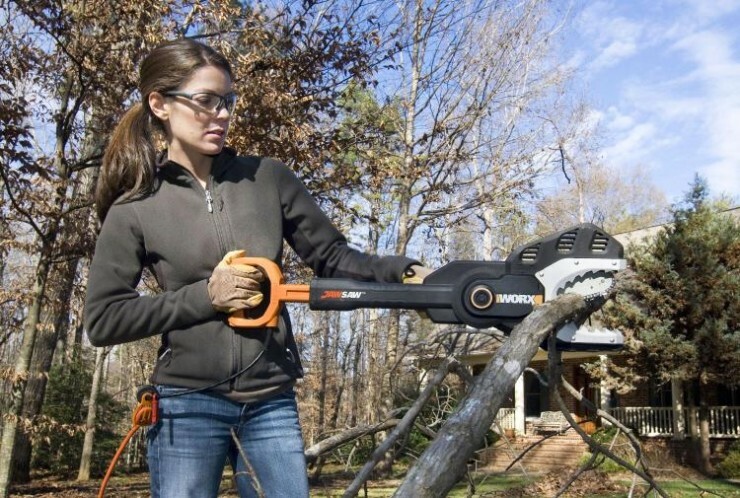 Not really, but with the Chainsaw Key Cover you can pretend to cut it down without having to build a new door every single time Ron Swanson style. 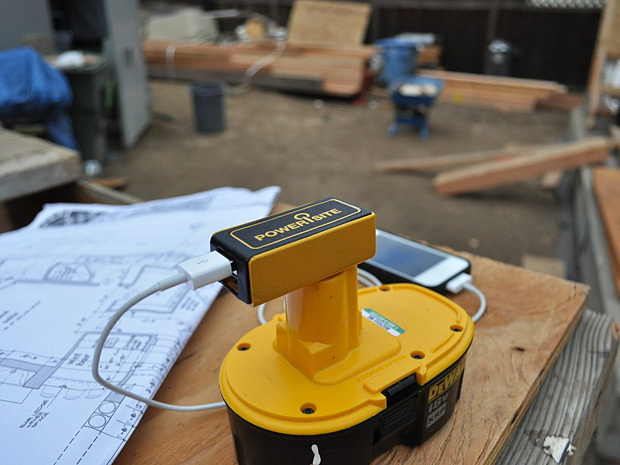 Keep your love of power tools on hand with this light-up, sound producing key cover. 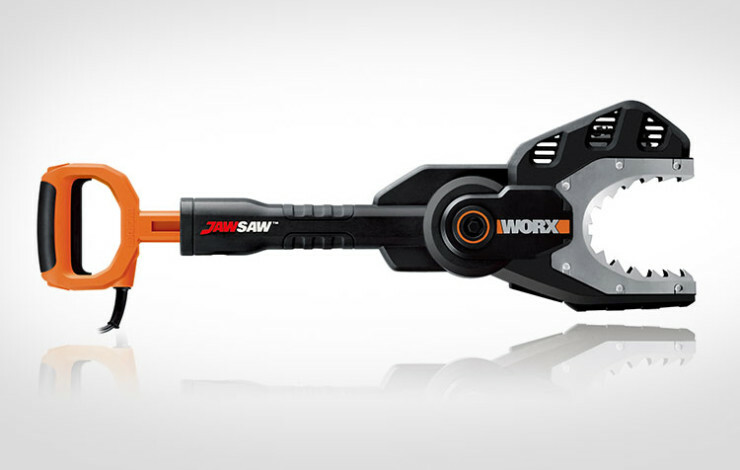 It looks and sounds like a (very small) chainsaw. Timber ho!!! !